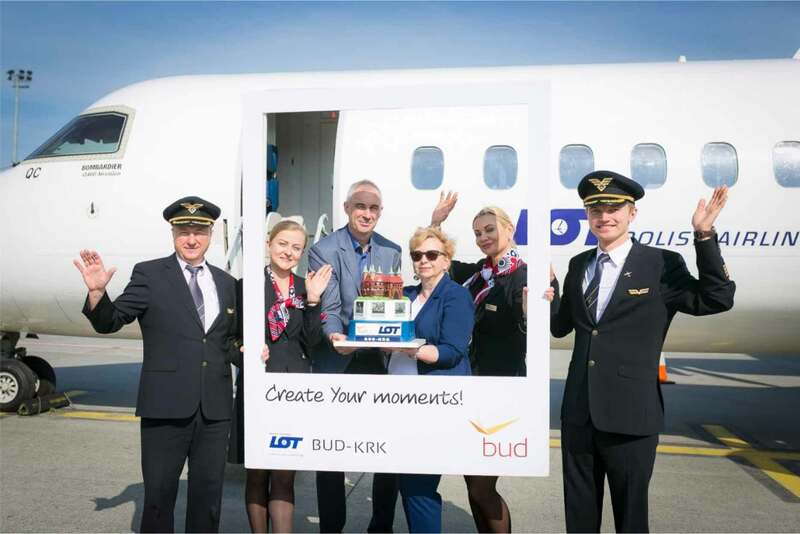 Budapest Airport has welcomed its latest new link by celebrating the inaugural flight of LOT Polish Airlines’ service to Kraków. Ahead of launching the first of its new US routes tomorrow, the Star Alliance carrier commenced its connection to Poland’s second-largest city utilising its Q400 aircraft. LOT will operate the Kraków route six times a week. This new route joins its existing 33 times weekly service to Warsaw Chopin, which has further established Poland as a popular destination from Budapest. With a 72% share of all weekly scheduled flights from Hungary’s capital city airport to Poland, over 120,000 one-way seats will be available from Budapest to the Eastern European country this summer. “Our partnership with LOT Polish Airlines has strengthened immensely over the past 12 months so it’s great to launch another high-demand route with our valued partner,” Balázs Bogáts, Head of Airline Development, Budapest Airport. “With a potential market of more than 30,000 passengers, we are extremely expectant of great success on this route, a destination our passengers have told us has been high on their wish list for some time,” added Bogáts. To celebrate the arrival of LOT Polish Airlines’ new link from Budapest, the Hungarian gateway’s Senior Airline Development Manager Sándor Saly (third left), presented the airline’s Country Manager-Hungary Elżbieta Borzon, with a traditional cake welcoming the inaugural flight of the Star Alliance carrier’s six times weekly service to Kraków.